If you get a cold or the flu, you don't have to suffer till the end. Your pharmacist can help you choose a cold or flu remedy that's right for you. Sniffling and sneezing your way through winter? Here are a few easy ways to find cold and flu relief. Calm your cough. For a dry cough, look for products containing dextromethorphan or codeine. For a phlegmy cough, look for products with guaifenesin or guiacol, which make mucus easier to cough up. 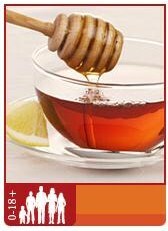 You can also try tea with honey to calm that tickle in your throat. Soothe your sore throat. Look for lozenges or sprays with antiseptics (to kill germs) and local anesthetics (to numb your throat). You can also try gargling with salt water. Nix your aches and pains. Acetaminophen, ASA (e.g., Aspirin®) (not for children or teenagers) or ibuprofen can help stop aches and pains in their tracks. You can also try a heating pad for body aches. Fix your fever. To bring down your temperature, try a fever reliever like acetaminophen (e.g., TYLENOL®), ASA (e.g., Aspirin® – not for children or teenagers) or ibuprofen (e.g., MOTRIN®). Solve your sinus pain and stuffy nose. Try a decongestant such as pseudoephedrine or phenylephrine. Decongestants come in sprays (for stuffy nose only) and tablets. Don't use the sprays for more than 3 days or your stuffy nose could get worse. Taking a hot shower can also help loosen things up. Ease sneezing and runny nose. Try an antihistamine such as diphenhydramine to help dry up that runny nose. Antihistamines can make you drowsy, so try the first dose around bedtime. If you do find that the medication makes you drowsy, avoid driving and other tasks where you need to be alert. Make friends with your pharmacist. Get your sneezy, sniffly self down to the pharmacy and ask your pharmacist to recommend a cold or flu remedy that's right for you. Special notes for the little ones in your life: The tips above are for adults. Don't give cold and flu medications (except acetaminophen or ibuprofen for fever) to babies and children under 6 years of age unless your doctor recommends it. Children and teenagers should not have ASA (acetylsalicylic acid, best known under the brand name Aspirin®) because it is linked to Reye's syndrome, a serious condition that can damage the brain and liver. Honey is not recommended for children under 1 year of age.